How can you not buy a beer called 400 Pound Monkey? The name got me to stop and look, and being an IPA got me to buy. Plus, I’ve only had great success with Left Hand Brewery. 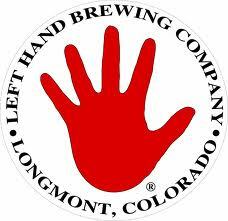 Left Hand Brewery says it’s not like the others. They could not be more accurate. This tastes next to nothing like a standard IPA. There is far less hoppyness (that slightly bitter taste) than you might expect. It tastes more like a brown ale with some hops and a fruity finish. Lots of flavor, great amber color. It’s a great beer, but don’t buy it if you are looking for a hoppy IPA. At a hearty 6.8% ABV, it’s a good thing this beer is rich enough that you drink them slowly. I’d buy it again for sure.